Plot Outline: At a time when crimes of passion result in celebrity headlines, nightclub sensation Velma Kelly (CATHERINE ZETA-JONES) and spotlight-seeking Roxie Hart (RENEE ZELLWEGER) both find themselves sharing space on Chicago’s famed Murderess Row. They also share Billy Flynn (RICHARD GERE), the town’s slickest lawyer with a talent for turning notorious defendants into local legends. But in Chicago, there’s only room for one legend! 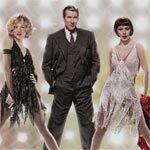 Quick Hit Review: I originally saw Chicago in the theaters in early 2003 when it finally hit my local Cineplex and was absolutely floored after the first viewing, amazed again when it was released on DVD. 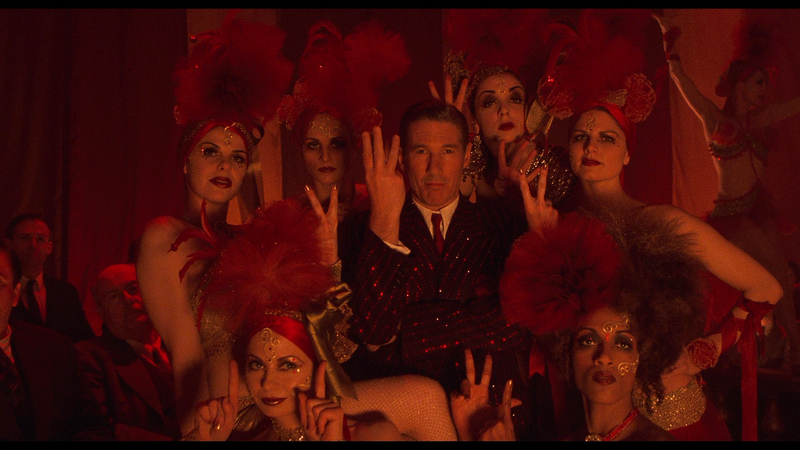 Now 10+ years later, it still holds so much charm and overall entertainment, with catchy songs and extraordinary performances from Renee Zellweger, Catherine Zeta-Jones (who took home the Oscar for Best Supporting Actress) and Richard Gere that it combines the musicals of old Hollywood with the style of the new. I know some today criticize it as being overrated and not deserving of Best Picture, but for me, I loved every minute of this and highly recommend this for those who have yet to see just an all around amazing musical comedy-drama that some have tried to recreate with Les Miserable and Nine (also helmed by Rob Marshall) but without the same success. This release comes with a semi-glossy, reflective and title embossed slip cover. Inside contains the original DVD Copy which has features not on the Blu-ray disc and the download code for the UltraViolet Digital Copy. Feature Commentary – Director Rob Marshall and Screenwriter Bill Condon sit down for a track chatting about the film, challenges and casting. Chicago in the Spotlight: A Retrospective with and Cast and Crew (2:22:19; HD) – There are 14 featurettes contained under this heading and features new interviews with members of the cast and crew including Director Rob Marshall, various producers and Actors Renée Zellweger, Catherine Zeta-Jones, Richard Gere, Queen Latifah, John C. Reilly and Christine Baranski. This is a well made documentary examining just about every aspect of making the film. 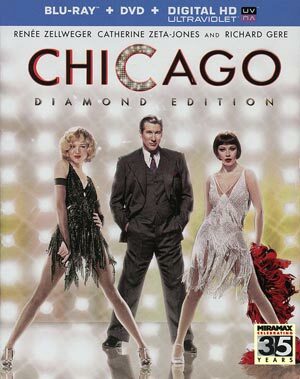 The DVD Copy also includes From Stage to Screen: The History of Chicago (27:26) and a Deleted Musical Number, “Class” (4:08), along with the feature commentary already on the Blu-ray disc. Edit (2/13/14): So, I pulled out my 2-Disc “Collector’s Series” DVD and it is missing a few features: Chita Rivera’s Encore, An Intimate Look at Director Rob Marshall, When Liza Minnelli Became Roxie Hart and features on Production Designer John Myhre and Costume Designer Colleen Atwood and the VH1 Behind the Movie featurette. This is an amazing looking transfer, presented in its original 1.85 widescreen aspect ratio, featuring excellent detail levels and bursts of colors to the darker scenes which show no signs of artifacts, pixilation or banding. The original Blu-ray was released by Buena Vista but since I don’t own that version, I can’t make a direct comparison, but for my money, this is a fantastic looking transfer with bright colors and some natural film grain that adds to the theatrical-like quality. 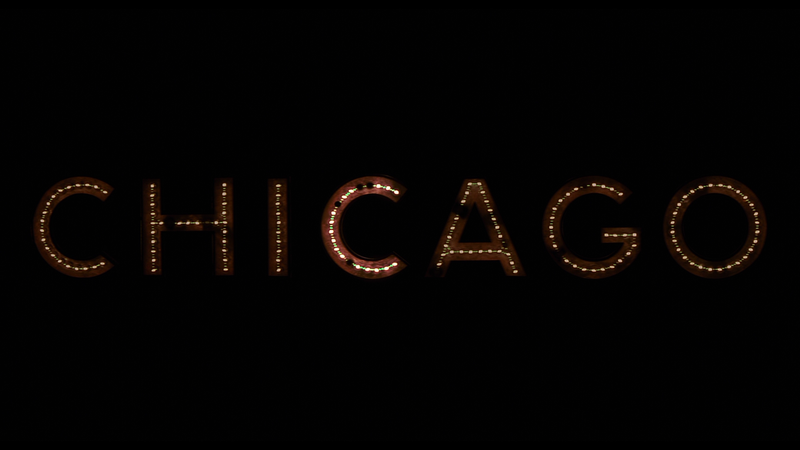 Overall, I don’t mind admitting Chicago is an amazing musical that holds up just as well today as it did 10 years ago and still deserving of its 6 Academy Awards including Best Picture. The performances, both in acting and singing, from Renee Zellweger, Catherine Zeta-Jones and Richard Gere are astounding not to mention Queen Latifah and John C. Reilly also turn in wonderful performances. This “Diamond Edition” released by Lionsgate not only has a lengthy new retrospective docu-featurette, but the audio and video transfers are both absolutely astounding and easily reference worthy. I saw Chicago with my sister yesterday and we were hoping that he movie as going to be fun. We were fulfilled to the fullest. 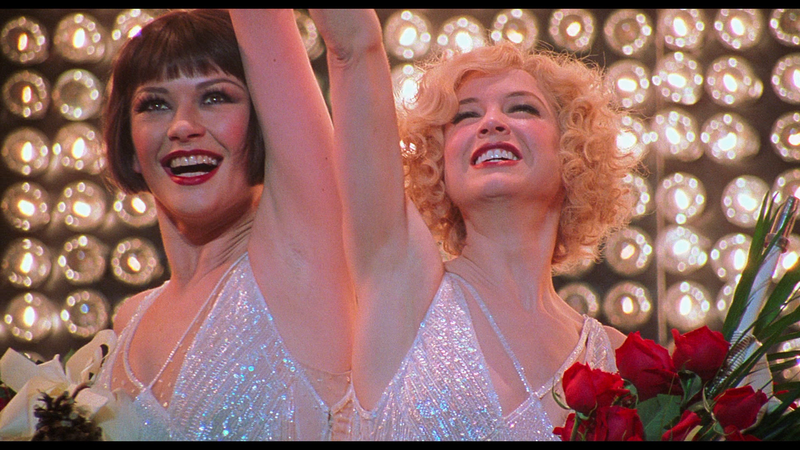 The movie Lavishly well done, energetic and fun to listen to, Chicago is easily on the top 10 best musicals ever. 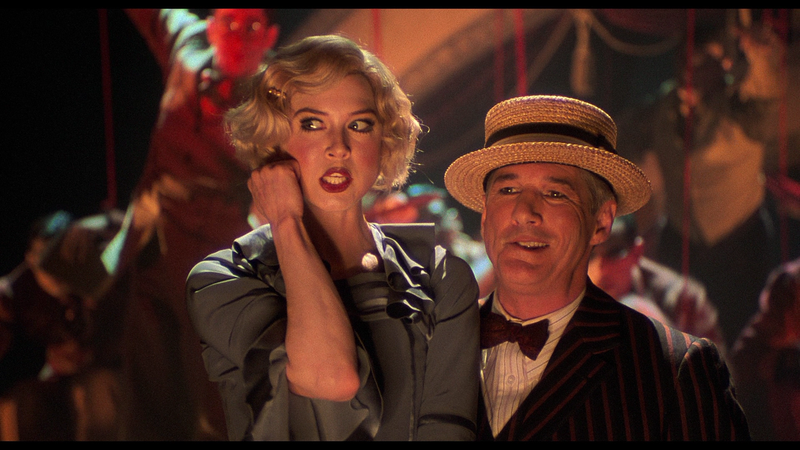 The music in the movie, the rhythm just utterly spellbinding, that’s how incredible Chicago is. The movie mostly benefits from it extremely talented cast. Catherine Zeta-Jones shines in Chicago and gives the performance of her lifetime. She well-deserved her Oscar. John C. Rielly, Renee Zellwegger and Queen Latifa deserved their Oscar Nominations.